Relax on the pristine beaches of Nicaragua, visit the surfing town of Jaco Beach and travel overland to the Salinas along the Ecuadorian Coast. This coastal adventure of three Central/South American countries gives you time at leisure to explore at your own pace. From Managua to Jaco Beach, from Tamarindo to Guayaquil, you’ll see wildlife and flora as well as beautiful beaches and surf. This itinerary is also great for those of you wanting to explore the possibility of an EX Pat. Nicaragua, Costa Rica & Ecuador Coastal Adventure will relax you so that leave serene just as the countries that you have just visited. Arrive in Managua, the capital of Nicaragua. After clearing customs you are met and transferred to your hotel. After breakfast depart your hotel and travel overland to the coastal area of San Juan del Sur. On arrival, transfer to your hotel. San Juan del Sur: is a coastal town on the Pacific Ocean, in the south-west Nicaragua. San Juan del Sur is popular among surfers and is a vacation spot for many Nicaraguan families and foreign tourists. It was also a popular resting place for gold prospectors headed to California in the 1850s. Spend two full days free at leisure to relax on the beach or explore the surrounding area on your own. In the morning transfer back to Managua to connect with your flight to San Jose, Costa Rica. After clearing customs you are met and transferred to your hotel. San Jose: is the capital of Costa Rica and located in the Central Valley. Culturally, it is considered almost entirely European influenced, in part because of Spanish immigration soon after Costa Rica’s discovery by Christopher Columbus. After an early breakfast you are met at 7:30 am for an overland transfer to the coastal area of Puntarenas. On arriva, transfer to your hotel in Jaco Beach. Jaco Beach: lies between several mountains on the Pacific Coast of Costa Rica. It is neighbored by the beaches of Herradura Bay to the North, and Playa Hermosa to the South. At about 15 miles north of Jacó, lies the Carara National Park, recognized for its exuberant wildlife and dense rain forest. Carara is home to one of the largest remaining populations of wild Scarlet Macaw. Spend a full day free at leisure or explore this small town famous for its surfing, shopping, and tourist facilities. Spend your morning at leisure. At 12:30 pm you are met in your hotel and transferred to the Tamarindo area. On arrival, transfer to your hotel. Tamarindo: is a long beach, with excellent waves on the Nicoya Peninsula (the Northern Pacific coast). 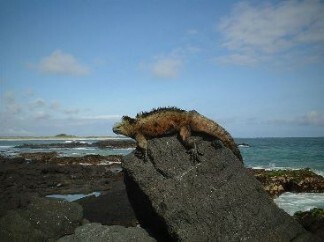 Nearby is Playa Grande beach which is where the Leatherback Turtles come to lay its eggs. The leatherbacks take over the beach from November to April. Spend a full day in Tamarindo to enjoy the surf or nearby ecotourism activities. Transfer overland back to San Jose to connect with your flight to Panama City. On arrival connect with your connecting flight to Guayaquil, Ecuador. After clearing customs you are met and transferred to your hotel. Guayaquil: is located in Ecuador on the western bank of the Guayas River, which flows into the Pacific Ocean. In the morning travel overland along the coast to Salinas. On arrival transfer to your hotel. Salinas: was once a small fishing village but now is the site of the ISA World Junior Surfing Games Ecuador in 2009. There are two major yacht clubs. Salinas is known for its fun in the sun and is a prime travel destination for those people who love the beach. Travel overland back to Guayaquil for your flight to Quito.